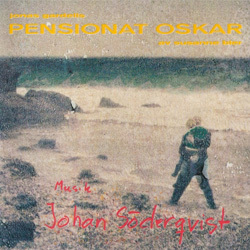 Johan Söderqvist is a talented Swedish composer, responsible for writing scores to films like Efter Brylluppet (After The Wedding), Låt den Rätte Komma In (Let The Right One In) and DeUsynlige (Troubled Water). 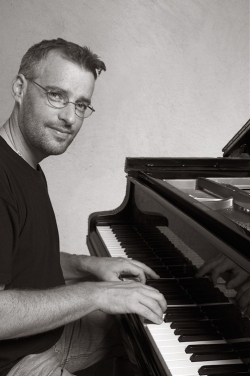 He’s someone who never seizes to amaze, writing one creative score after another. MainTitles talked with him about his career and about his most recently released score: Tannöd. MT: Can you tell us about your working methods? I try to think as little as I can and to do as much as I can. The intellectual side of your brain sometimes puts obstacles in the way to create good music. It’s about trying to be more intuitive. I think it actually gets better and better every year. After I graduated from musical high school I was really clever. I could read music for a full orchestra in my head and everything. And I feel that every year I get more and more into this emotional, intuitive way of working. I don’t know what it is, but it is really about creating some sort of bubble where you can just react to things that happen. You’re working with some sounds and playing the piano and waiting to grasp the moment. When something happens it’s just great to be there. I’m trying to make some good layouts; buying some instruments or samples. Doing some things to create a palette within a particular film world. In Tannöd I recorded so much instruments and sampled so much stuff to that film, resulting in a very safe environment. I probably have one of the world’s largest libraries of small bells (laughs). I sampled all the instruments in like a month. I probably have bells for hundreds of films now, but I just used two or three sounds that were really perfect. But still, I might have hundreds of recordings with those. But that’s the way I work; writing a lot to only use very little in the end. That’s really a good way of working for me. MT: You said that it became easier just to go back to your first feelings. When you did your very first film, could you remember what you did ‘wrong’? No, I know what you mean. I think you heard the film music from Freud Flyttar Hemifrån (Freud's Leaving Home). I think it’s really good music for a first film. I sat at the piano, had a sheet of paper and wrote music. I thought linear about the film and was working against it, where I would now first maybe establish a musical world. Processing sounds into the computer opened a vast amount of possibilities for me, since I’ve always been a sound guy. In the past, I sat on an emulator sampler and if I wanted to create one sound it would take two days or more. Now I can make hundreds of these in one day. I have a studio to record and an assistant who is working for me halftime doing a lot of the editing. So we can prepare a lot of sounds all the time. It is good for my way of thinking musically. Currently I work partly from piano to paper and from synthesizers to the paper. But it’s also, maybe more importantly, from a thought of a sound world for a film to building that from different perspectives. One good example is the sound that’s in Efter Brylluppet (After the Wedding), which has a bit an ambient sound behind the strings that´s coming back all the time. I think it’s a simple string bit I recorded, processed and saved it as a processed sound, but then took it back into Logic and processed it two or three times more. Suddenly it started to come alive. I don’t have a clue how that was happened, but I’m just happy I did. This became one of the weird voices of the score besides the bansuri flute and other instruments. You make a sound and then you suddenly play it four octaves lower and something cool happens. And then you sample that too… It’s like building with Lego. It’s just a weird, playful environment and one has to go with the flow for these moments to occur. MT: So after all this time you must have build up quite a bit of samples? Hundred thousands. It’s a huge library. I’m pretty good at melodies and film music is besides melody and harmony also sound. Thinking in sound worlds is a way to find a bridge between the picture and the music for me. MT: You would call it a symbiosis? Yes. I don’t think you’ve heard all the music, but Glasblåsarns Barn (The Glass-blower’s Children, 1996) was the first time I worked that way. It’s a fine film in which there’s a guy who’s a glassblower. In one scene a person takes a stick and hits the ark glass. This was such a beautiful sound that I went to the film set and got like 40 pieces of this ark glass. Then I started to sample them in the old way. It opened up the connection between the music and the film. And it was the first time, which was a big sensation for me. I don’t know if it is a great score, but it was a great idea. While it’s not glass all the time, it made sense. I’m always trying, it may sound pretentious, to find the musical voice of the film. And of course you don’t succeed all the time, but that’s what I am trying to do. I made like 100 glass sounds in the emulator and I ended up using only two or three of them. There's so many sounds, and I try to get everything that’s out there. I have bought so many sound libraries from which I haven't used anything. MT: So do you browse through all these libraries just to find that one sound you made like four years ago? I have pretty good feeling of what I have and don’t have, because I've done it together with my assistant (Uno Helmersson). I made waterphone sounds for Låt den Rätte Komma In (Let the Right One In). I created this huge library with that instrument and I know that after Let the Right One In many libraries have been released with waterphones. Probably just a coincidence. I think I found only four sounds in these libraries that I liked. So really, you have to do it yourself, finding those specific elements you’re after. Especially on an instrument that is usually employed as an 'effects device', but of which I think it’s one of the most beautiful icy toned instruments there is. My goal is always trying to find a sound that an instrument usually doesn’t produce. For instance, I have a guitar that I mic and try to play it differently with an ebow, playing with the right hand on the left side… You can hear them in all my films and you hear sounds that you can never guess what they originally were. MT: I like your music because of the combination of real instruments and all these samples and sounds that are all so special. It’s something that really attracted me since Brødre (Brothers). So after that almost every one of your scores I heard had this sort of unique sound to it. Yes, I know what you mean. This isn’t so much the case in Effi Briest though, which is an grander score. The interesting thing in that score is that even though it’s epic and it’s more Hollywoodish, there are some really interesting sounds in there. I don’t know if you can hear them well, but they’re there. We made cool gamelan stuff that was heavily processed. My assistant Uno made a great patch for me. You play in a certain skill and you combine this with a weird algorithm that makes calculations with octaves etc. It’s really impressive. What happened was that instead of recording two minutes or so, I recorded many hours. Then I took out one or two minutes. You don’t hear them that much because it´s mixed fairly low. But if you listen really carefully you’ll hear that there´s a lot of stuff going on underneath. In Effi Briest I also had this idea that it would be interesting to have minimalistic music that was emotional, because my problem is that such music is often a bit cold. Another element thing was that it would be interesting to make a classic epic score that sounded a bit modern. I always like these contradictions. The gamelan sound I created is just a way of working. Once we found the right patch we went along with it and gave it its own life. Sometimes this results in something awful, yet it could contain a totally fantastic 36 seconds. I’m really interested in things that you can and can’t control. 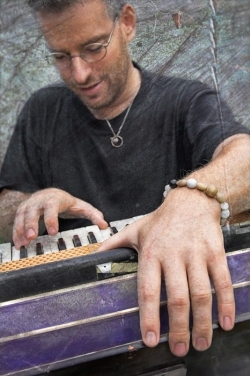 I started out as a jazz musician, a piano player and keyboard player and I’ve played a lot of different folk music. I’ve also been touring with Indian musicians. I’ve travelled around the world playing jazz & folk music. That part of me tries to make music this way, always trying to use musicians for the end results of all my scores. Even if they’re not playing "live", they’re playing through the samples. I’m actually playing them to get the samples. So you let them do what they feel when they hear the scale or when they hear the melody. Just try and do some unpredictable things. That’s one of the best part of making music for me. MT: So when you record with an large orchestra, the latest was a Slovakian for Tannöd, do you also try to record special features for one instrument that you can use as a sample? Yes, I used them for four or five films. The recording with an orchestra is very organized. You yourself were on a project (Oorlogswinter) and you know it’s very expensive. It costs a lot of money and you have very little time. It’s very stressful and hard. What I usually do when I have some extra time, I create a sample of a couple of high and low notes. Just to try to build up some sounds in a longer perspective. Actually for Let the Right One we did a lot of improvisation. We made graphic notated pieces. It’s notated music and it’s absolutely controlled, but it’s still graphic. So when you have a graphic sheet, you can interpret it in hundred different ways. Instead of doing one take we would take 3-4 takes with different instructions. 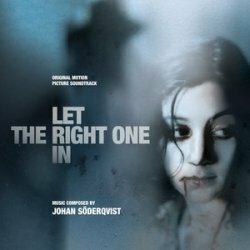 We built a personal horror library with the orchestra for Let The Right One In. I think it worked really well and it’s cool to have your own sounds, because it gives you a unique sound. MT: You’ve been nominated for several awards and won a few. How does it feel to be nominated or to win? Now I should say that it doesn’t matter and that I have no vanity, but that’s not true. It’s really comfortable to be nominated. It´s a sign that somebody out there cares about your music. The coolest thing though is when people mail you from different places in the world. That has happened a lot after Let The Right One In, because it became such a huge hit all over the world. So I get like two or three mails every day. From China yesterday, from South America two days ago, from Germany and a lot from the States. That’s actually better than awards, because you’ve been a part of something that actually makes people take five minutes of their time to write a nice mail to you. I have had some of it with Susanna Bier, because she’s a great director and her films have played throughout the world. But it has never been as much as with Let The Right One In. Composing music is like being a good sportsman. Once you’re out in the field, you can’t think. You just have to do what your instinct tells you, and with the knowledge and level of experience you can perform in a very calm and nice way. In that perspective it can sometimes be very rewarding to have some friends on Facebook complimenting you. It can really give you some good energy. MT: In that sense you are sort of inspired by all the reactions you get from people around the world? I think coming from a very small country, it’s like the Netherlands… You’re smaller than Sweden but you’re absolutely more in the middle of Europe. So you can maybe relate to my feeling that it’s not a big, huge country that has an immediate impact on what happens in the world. It’s a good country, but it’s a small country and it’s up here in the north. It's wonderful that a film from here or from Denmark can actually make a difference out there in the world; being part of something that actually changes people’s lives (in a small way). I don’t know what to say about this award thing, all that I can say is that it’s obviously more important to be nominated than to win. I don’t think about it every day. MT: So, about your score releases… We’ve had a few in the last few years. Is there any score you would like to see released any time soon? MT: ... maintain your own label? Yes that sounds like the way to go in the future ... Most of the times we've had the option to make a record. But in some cases they didn’t want anything to do with it, which feels weird. You put so much effort into these films and it just moves away. Some films would and some wouldn’t make good releases though. MT: So what about if you don’t want a full score release, would you feel something for a compilation with themes from the film you don’t picture yourself on a full score release? That would be interesting. The problems with old films are the rights. You record it for the film and you may have the rights to do a score release in conjunction with the film. But when you want a compilation you have to clear all the rights and that’s a big issue. So then you might have to go back to Slovakia and re-record everything. That requires time, something I don’t have right now. If you’d select music from all of my 40 films, I'd select definitely two or three cues from each film that are really good. So probably you’re right that this would be the best thing to do. The other day I was thinking that I could compile a double record with music from Susanna Bier’s early films. I made four films with her before Brødre (Brothers), so maybe something from these early years. MT: Full scores or themes from her films? A compilation perhaps. The themes in her films are usually good, which would mean two to ten cues from each film. Or a combination of music from her films and Anders Grönros films (The Glass Blowing Children, Agnes Cecilia) with whom I’m going to make his fourth film at the end of the spring of 2010. So instead of one record we could do a double record. It’s really good that the music is alive in spite of whatever happens to the film. I felt this way with the old record from Freud Leaves From Home (Freud Flyttar Hemifrån). I think you might have heard it. MT: Yes, it was released by Classic Hawk. Yeah. They quit, so it’s ‘dead’ cd wise. I have tried to regain the rights to that one, so I can maybe sell it on my homepage. I still get mails about the film Agnes Cecilia about five times per week, asking for the sheets to play it on the piano. It’s alive, but it’s not alive. You know what I mean. If it’s out, it’s always there. I would love to have the music released, more for my own sake, for my own catalogue. I’ve been trying to build my website so that the music at least can be heard somewhere. I think it will eventually happen, but with so many film works I need the time to do it. I’ll tell you what’s really vital to me, that’s that I’m always trying to find new sound and instruments; so I sample and I buy a lot of sounds and instruments . I have this huge set of weird instruments here. MT: So it’s an ongoing journey into finding new sounds? Yes, it’s like being a soundaholic. I bought a fantastic instrument from America. We’re doing a documentary about Rwanda (Earth Made of Glass). The sound of this film is partly African, so we found this beautiful African instrument, which was made in the States. We recorded the music with it since it was really important for the process. It sends you in a certain direction that you wouldn’t take if you wouldn’t have had this specific instrument. It’s like being a painter; you can paint with a black pen or with colors. These instruments and sounds are the different colors. MT: When is it due to be released in theatres? I don’t know. I know that it has to mixed in three weeks. So I still have a lot of stuff to do. I love to work on documentaries. It’s a very nice workflow, partly because it’s about something real. Did you see The Monastery: Mr. Vig and the Nun? It’s a really good film, as is Earth Made of Glass. The story plays during the genocide in Rwanda and the result is a very important and emotional film. I am extremely happy that I can be a part of it. The team have been very sweet, because they changed their timing in order or me to finish my other films before starting on this one. I feel it's much more relaxed on these documentaries. I´ve made two big documentaries and one small documentary (Granskogen i Våra Hjärtan- together with the music group "Enteli") about 11 years ago. MT: Misa Mi is a very warm and nice film with very moving music. Did you approach this from a Swedish music traditional point of view? Well, I was inspired by the Sami music. They’re separate people with their old traditions and culture in the northern part of Scandinavia. I’ve played music with Sami friends and I know a lot of them. I love their music and their singing, which is called 'joik'. One of my friends played some old bone flutes on Misa Mi. They´re made of the bones of a reindeer and they’re about seven centimeters long and have three or four holes. Their sound is very soothing. I recorded his performance, letting him play in different keys, which was then used in some parts of the score. I like the blend of the little flute on top of the orchestra. It was recorded with the biggest orchestra, with 120 players, I have ever worked with. MT: I loved the slow orchestral passages with the atmospheric sounds during the meetings between the two characters. Those were really inspiring. How did you create the bond between the wolf and girl? It’s about not thinking. You got to look at it with an open mind and then you’ll find it. You just try to be as sensitive as you can . I find it difficult to tell why I approached these meetings between them this way. The scenes you talk about have a lot of strings and a zither. It’s all very small. MT: There’re also some samples and the reindeer flute. Yeah. I remember the feeling I got when they meet in this one place. You have to feel the magic. I thought it was a very good film. The director (Linus Torell) should have gained much more recognition. MT: The thing with Scandinavian children’s films is that they do quite well at festivals. I think he’d won a big price. I think it’s sold to the Netherlands as well. So thanks to the Dutch people. MT: Yes, we’ve played it on national television a few times. I know it would do great in France and Germany, but it hasn’t been sold. It’s a pity because Linus is very serious with the kids and he is not sloppy. He really looks at it from the child’s prospective and I like that. I also made a TV series with him about a girl who gets a cow: ‘’Kajsas ko’’. The kids love it, because it’s serious and still funny. Even though it’s just this little flute in Misa Mi, the music is much bigger than you would usually make. The same thing happened with Effi Briest. I kind of like it when you can write a bit more filmatic. It’s funny. MT: You know what’s funny… I have watched a lot of Scandinavian children’s films. You have like 100 pictures with a kid meeting a dolphin, a snake, a…. There are so many out there, but they all seem to take their audience seriously. It never becomes a wacky little adventure. Maybe it’s a traditional thing. When making Misa Mi, some people were a bit afraid that the music would be a bit too big. I didn’t feel like that and I really think that it was well balanced. Some pictures will find their audience and some won’t. I think that’s sad, because some really deserve a wider audience. It’s a universal concept that children from the Netherlands will like as much as children from Sweden. Kids adapt well to different cultures. MT: It’s the same with The Monastery: Mr. Vig and the Nun, which played at the documentary festival in my country (IDFA). It received a prize and all the sudden everyone was talking about it. I heard that festival was like the Oscar for documentaries. That’s like it’s success story for Pernille Rose Grønkjær. She didn’t have the money to finalize the film. She didn’t have any camera and tools. But she could borrow a camera and made the film. Then came the IDFA award and she won many prices after that. Imdb doesn’t list all of them , but we had a party at her home and she had collected 30 prizes. She has been touring with the film for over a year. Curently, Pernille is making a new documentary. Exciting! The Monastery is a film that is very easy to love, because it’s heartfelt and funny. MT: Some people thought they were acting in the documentary… But I just believed that the characters in the film were real. I don’t think you can get to Mr. Vig to act. He was 78 years old and was just very original. There’s this funny scene with him and a Buddha statue. I don’t know for sure, but I think it took her 4 years to make the film. MT: There’s a French documentary trilogy about farmers (Profils Paysans) who were followed for many years. Really? Maybe that’s the thing with documentaries. Take the one I’m doing about Rwanda now. They were going to tell a story and film in Rwanda. Once they were there, they found this totally different story and followed that lead. In the end, they made a totally different film with two stories. One story is about the president of Rwanda, Paul Kagame. About his country and its future, since it has suffered so much from the genocide. MT: Maybe because it’s all so real. You get see their lives and witness something you normally wouldn’t see. That’s right. And it puts in a lot of responsibility on your shoulders when you write the music. In Mr. Vig and the Nun they set out to have a fairytale sound and wanted me follow that route. My biggest responsibility in Earth Made of Glass was to make it feel real and write sincere music. It would feel so strange to really score a film about the genocide in Rwanda. The important thing we did was to put music in the right places and find a sound that made the story come out, not the music. It’s so weird what went on there in 1994. MT: You did the radio theatre version of Agnes Cecilia. Did you re-use music from the film? I wrote a lot of new music with a zither that wasn’t at all in the film. I used two piano themes that were in the film and made many variations on those. I had the director pick his favorites. I played one of the themes and a classical piano player performed the more classical theme. MT: Did they ask to re-use material or did you decide this yourself? It was the same director. So he really liked the themes and wanted me to adapt the film themes into radio. Since radio has no picture, it requires much more music. And there wasn’t so much music in the film. We wrote a lot of music for strings and zither. I think there was also a harp theme, but I don’t quite remember, since it’s so long ago. MT: Did you do more radio or theatres assignments? Until Brothers I wrote for a lot of different mediums; from theatre to radio. Theatre takes a lot of time, since you have to be present in the theater and work with the people. It may easily take a couple of months on each project and I’ve been touring a lot with these things. So when you have to combine that with doing like 4-5 films year, it becomes problematic. But I like the idea of doing music for different mediums. MT: So how about video games? I haven’t done that yet, but I have the feeling I can do that, because it’s very cinematic. My middle son is a videogame guy and he showed me all those video games. It sounds a bit like Lord of the Rings with big, cinematic scores. I would like to do it, also to be in my son’s world. MT: Is there any type of video game you’d like to score? Like fantasy or action? I don’t know a thing about games. I thought about him learning me some things, but I think it’s a bit boring to play. The only thing I like playing is Guitar Hero, but that’s a bit hard to score. An adventurous fantasy game would probably be very interesting. These go so deep and they’re so many things going on that you can’t control. I like the thought of how I would solve that music wise. MT: Have you ever re-used something before? 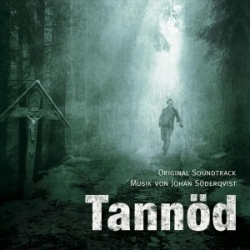 You did re-use the theme from DeUsynlige (Troubled Water) for Tannöd. Not so often. But I used this theme from Troubled Water that the director Bettina Oberli fell in love with. They usually use temp score music when they edit. And she’s absolutely right, it fits the film very well. I asked Erik Poppe (director of Troubled Water) about it and he acknowledged that this is a common problem that he also has and recommended me to just use it. So I re-wrote the piece and re-recorded it, to make it fit this film. There’s a more emotional version in Tannöd. I wrote alternative thematic music just in case we wouldn’t get the permission. There is much more minimalistic sound and weird stuff going on. Some of the sounds are just distortions from an old tape echo. I record a sound, remove the actual sound and I only take the late distortion. I change some settings on the tape echo, which results in this odd ‘’wapapahahapa’’. You feedback to the echo and you owe this sound to the feedback. That’s why this sometimes comes close to some kind of electronic music. I think these are beautiful sounds. The only thing that is important is the emotion of the sound. (plays it) You can hear that it really is very disturbing, but also beautiful. (plays some more) There’s a haunting feeling to it. MT: But it’s also a combination of baroque instruments and those little samples and sounds. They melt well together. Yeah, that’s an old idea that I had it for a long time and I’m so happy that I used it here, because I really like it. I initially had problems to sell the idea though. I love baroque music and old music. If I would have to choose between old music and more traditional classical music, I would definitely choose baroque music from Händel and even earlier. It’s very close to folk music and I’ve been playing a lot of folk music. Really good folk music, not the chordical music, but old music like Swedish and Norwegian folk music that is very pure, transparent and dark at the same time. Considering the old classical music, it's much more connected to the roots of folk music. First there was folk music, then they took out a little accord and then we got chord music. It actually derived from the streets. You can hear it in the melodies. It’s very simple stuff that I’m very inspired by. This is also interesting, because I’ve always been listening to many different kinds of music. It doesn’t matter if it’s Bach or John Coltrane or Jimi Hendrix.. All these guys have a story to tell. For me music is about telling a story. Or it is like Bismillah Khan in India who plays the shehnai. If you have really good music, it transcends from being music to something else. You’re not telling it to gain prices or money, but because you have to do it. There are great musicians, you can name The Beatles or Miles Davis or .... It’s more than just some music and that’s what we're striving for. You can feel it in film music when you hear something like The Godfather. It is so great in the film, but it is also great as music. And the B Minor Mass by Bach goes right into your heart. People can talk about it for 10 years, but it won’t change the fact that he wrote a fantastic piece of music. The interesting thing in film music is that there are some rules that you have to follow. You have a picture, a director, a producer, ... You actually have to try and do this stuff the best way you can. You navigate through these wishes and thoughts, and still try to have a focus on trying to make good music. MT: Don’t you ever feel limited when doing a score? Yeah. But still, limitations are very good when you write music though, because you kind of have to fix the palette and the world. I think it’s good for anybody who writes music. Limitations make it possible to sometimes really gain the optimal result. If you look at Bach. Everything is perfect in his music, technically. But it doesn’t matter because he’s still sending it directly to God. He writes such excellent music that you don’t hear the technical side. If I would have a goal with this thing, it’s probably to write music that is as good as possible and really lifts film. But it’s nice when people, like in Let The Right One In, like the music as music. But the most important thing is the film. MT: About Efter Brylluppet (After the Wedding). You already knew about Indian music, but didn’t you do extra research for this film? Before this film I played a lot of fusion music. I recorded a cd with this style with Indian music and a band called Indian Time in 1988. In this group there was a tabla player from India, Bombay and his name is Fazal Qureshi. He’s a great table player and he’s the son of Alla Rakha, who’s the master of tabla and who played with The Beatles. We toured through Sweden and India. So I felt that I didn’t need to study Indian music separately. I could have, but I felt I had some insights when scoring After the Wedding. I had listened to a lot of traditional Indian music and this fusion type, a different kind of Indian music. I had a good grasp of the traditional instruments like the sarangi and the bansuri. So it was a nice job to do. I have also been to India three times. I went touring through India twice and one time to get married. Another fun thing in After the Wedding is that we tried to use the orchestra as an "Arabic orchestra". You’d actually write monophonic melodies, or unison melodies, but in three octaves. You can hear it in the main theme. The strings comes in, but they don’t play harmonies, they only play melodies in three or four octaves. To record an "Arabic" orchestra was also an old idea of mine. 50 people would be playing the same thing, which was extremely powerful. I also recorded the bansuri flute and tabla in Tadlow, London. In the end, I think it was a nice blend. MT: Part of the music of Brødre (Brothers) resembled Gustavo Santaolalla’s piece called Iguazu and you’ve also worked with him on Things We Lost in the Fire. Can you tell me something about your collaboration? Great collaboration. He has a beautiful studio in L.A. I came on the project in a pretty late phase and he was just a very nice man. His best friend and producer is Anibal Kerpel, which I regularly worked with before. Also he was just fantastic to me, creating a safe environment, so it felt good to be there. Especially since I sort of just came in and had to do things very fast. They are very mature and good people. Very little starstruck, just nice ordinary people with an extremely high musical level. So it was very easy to work with them. MT: You have collaborated with someone else before, haven’t you? I made one film with a Norwegian composer Ole Vik called Say That You Love Me (2006) (Säg Att Du Älskar Mig). I also made one short film (Honungsfällan) with my assistant. That was nice, because you work with someone from scratch and with someone you work with all the time. I usually work very closely with the directors all the time and I feel extremely loyal to them. It’s hard enough to get this really good communication with the director and producer. One has to be very synchronized with the person you have to write with. My way of writing might not be the best if you would want to write with a lot of people, because I’m very concentrated towards the director. I'm really trying to understand what they’re doing with the film and I invite them into the creative process. It’s a dangerous way of working, but it’s rewarding when it works. MT: You are also attached to the new film by Susanne Bier called Hämnden (The revenge), right? Did you sign anything and did you talk about the film? I haven’t signed on to the film yet, but I have the job. We talked a lot about the film and I sent them a lot ideas. That’s the way we collaborate; we first work on the music in an early stage, then the film is edited and then once the film is in shape I start writing really hard. It’s a very good collaboration between Susanne, her editor and myself. She always works with the same editor; Pernille Bech Christensen. She’s is the most musical editor I’ve been working with. Pernille’s half of the score for me, because she is very emotionally connected to the film. She has also edited The Monastery. She gives all these good directions all the time and is very certain of what she is doing. It’s good to have her aboard. On these Danish films I do not just work with her, but also with the sound editor, which creates this very team-based work process that I love. MT: What do you think about temp score? As I told you before I like it better when I kind of give them my own music. It's easier to get some kind of freedom from the temp. Let The Right One In was only temped with my music. And it was obviously wrong in most places. Tomas (Alfredson) said that it was just for getting the right rhythm while editing. That's good for me. The problem with temp scoring is that when you do it too good, people fall in love with it. In some instances you stay pretty close to the temp score and that’s ok. But it can sometimes be really hard to build your world. You have music from Morricone and Newman, and you have to sort of combine them to get the film’s inner voice. If you have people that are secure and rely on you, they would let you do your own thing. Then I have the emotional direction and I can go my way. But if you have to stay very close, then that proves they’re insecure. They know that this will work with what they have, but they don’t trust that the new stuff will work that good. I just think it’s extremely important not to get too much in love with the temp score. In 90 % of all cases it will come from different scores. MT: I think the essential thing is to have a score with the same sound and atmosphere. Preferably by the same composer. Exactly. I can really relate to why they need it. I like the fact that my most successful soundtracks weren’t temped very well. I read that Alberto Iglesias only watches a film without temp, and that's an oher way to do it. Sometimes a temp score is the way to go, because Pernille and Susanne have lot of good thoughts. That way, we can relate to the temp score in a very open way. This documentary was temped with my different scores and it’s really easy to relate to these, because I don’t care about them. I know what it was and I know what they kind of tried to do. Therefore I can write totally new music and put the scenes in better positions. It made their editing process much easier. It’s mostly about rhythm. After a couple of films, one becomes pretty good at spotting of music. So if you’re not so experienced with (temp) music, you would try to place music in the wrong places and let the music respond to something on screen far too quickly. When I see a film, I instantly notice that some scenes need to be tied together and that the music could come in 10 seconds later to respond to a dramatic feeling. You don’t have to be too direct and focused on the emotion; you have to think much longer. That actually happened in Tannöd. It has a very long musical dramaturge. Everything is there for a reason, and at the end all sounds comes together. The score doesn’t start with baroque influences, but with these weird sounds, and progresses towards the end, where all sounds come together in the end credits. The idea was to go from one point to another point. Some stuff will be a bit weird, but then when you see it together it all makes sense. So yes, temp music sometimes helps a lot to understand the intensions of the filmmaker. But it’s very hard when they fall in love with it. Because then they tend to be a bit uncreative and want the score to be the same. MT: Do you have discussions with other Swedish composers about how you work? Very seldom. Mostly because I don´t have much free time. I have my assistant and some other friends that I talk to about the scores. But I think that the best way to gain knowledge, is just to jump into the process. I think I have a very different process compared to most of the other guys here. Like I told you in the beginning, I’m working the other way around to reach my goal. Whereas I think a lot of people maybe would write more linear. In Tannöd I loved the idea with the baroque instruments but also the idea with the bowed guitar, because I haven’t used that so much. So I sampled the bowed guitar for hours, to explore its sound. In the film Tannöd there are a lot of woods and I just wanted to find this "woody" sound and for me this bowed guitar thing was the best. It’s interesting when you go backwards. For example there´s a piece called ‘Going Home’ from Let The Right One In. When I think about what I did to gain that cue I get a bit scared. All these strange decisions I took, lead me into totally new directions, that at that time feel emotionally right, but seem a bit strange now. Therefore I’m a true believer of different realities than the one that we can see. When things are right, they match. You don’t know why and they just do it. I’m trying to rely on the fact that we don’t understand everything. You can do a lot of things. You can be a really good writer, you can write for strings, you can sample a lot of good material, but then in the end you have to put some faith in the process. You have this tricky part being a film composer. Be relaxed and create your world. But on the other hand you have a lot of people who are very stressed up and want to have things done by the next day. Maybe the trickiest part is to remain calm and try to work in a calm way from the point of view that you’re doing this for fun. Because people will always say "This is really good, but isn’t this too slow, or isn’t it too fast, or isn’t too strong?". Sometimes people tend to be afraid. This part of film music is interesting to talk about. Also the question on what music is. You can write 5 notes that are extremely fantastic, but you can write a full orchestral score that does nothing. In the end it’s always about storytelling. It’s something that just feels ok.
MT: You know Pachelbel’s Canon right? MT: There’s this version by Brian Eno from the 80’s, which is sort of an ambient version of that piece. Did you ever hear of that one? MT: It’s a true classic. Somehow it reminds me a bit of your work. It’s the way he reworks the piece, not in a traditional way, but with these ambient, atmospheric sounds. But Eno´s absolutely fantastic. I haven’t listened so much to him, but I listened to some music he did with Jon Hassel. My kids have this record with Coldplay which he has produced. I like it when people try to go a different way. Also maybe Iglesias, Desplat and Danna. I mean there are lots of them. I’m very inspired by them and I also try to think a bit different. There’s something like them in musicals. You have this musical sound. It’s a bit the same in films; sometimes films sound a bit to filmish. And that’s weird, because it’s just about pictures and trying to best match or emotional underbuild the pictures. I don’t think so much about stories, but more about the pictures; the colors and the lightning. I think music is very connective to the picture. I mean the picture as picture, not the actors and dialogues so much. Like the editing of the picture, the music works very close together. It counts like a second layer to the film. In the choir piece in the end the text is from the Catholic mass, put on my music. Mikael (Carlsson) and my assistant Uno actually did the recording down in Gothenburg with the Haga Motett Choir, because I was writing for another film. They were fantastic. When they made this recording, they also made hundreds of other types of choir sounds for a musical library. You can’t buy these sounds anywhere, because no-one has done this before. We made our own choir library. Combined with horror effects, we got a cool result. You can hear these effects in Tannöd, for instance the breathing and whispering. MT: There was also a typical horror instrument… I can’t remember which one it was. But you used a zither right? It’s actually not a zither, but it should sound like a zither. It’s an Indian instrument called a shahi baaja. It’s a really cool instrument. We sampled it in a very specific way where we just sampled the harp strings of that instrument. I wanted an extremely fragile and transparent sound. So we both sampled a zither and this shahi baaja and it had the most light and transparent sound. That’s not so important, it’s should sound like a zither. I wanted it to sound old. There’s also a real zither in the score of course. But the instrument in the main theme is not a zither. I had written the main theme for the instrument, but it had a more dull and darker sound. That’s just insight information. So yes, let’s say it was a zither. I don’t know but did you think that was a typical horror instrument? Yeah, I’m totally with you. When people ask me about Let The Right One In and want to know which vampire films I’ve seen, I always say that I haven’t seen one in my whole life. Tomas Alfredson had never seen a vampire film either I think. So I don’t know anything about horror music. The only horror film I’ve seen in my entire life is The Exorcist. So that was probably a good thing. The same thing goes for this zither. I know that it has been used, but to me it’s just a beautiful transparent, high pitched string instrument that has a lot to say musically. I haven’t studied this stuff and I don’t own records of horror music. That may be good or bad. I think it was really good for Let The Right One In, because I didn’t have the knowledge about the horror film history. We were more trying to find a unique atmosphere for that film. We didn’t actually try to be different, we tried to find the theme and sound for that film. And we didn’t know how it sounded in the original vampire films. MT: There was something fresh about that score and I think that’s why people like it so much. I’m really proud of that film and I really liked the sound I created. But for me it has a lot to do with the fact that I grew up near the end of the 70’s and the start of the 80´s - the same time that is portrayed in the film. Tomas captured that feeling 100 %. The stillness, the boringness, ... that might sound familiar. So I felt like the boy, Oskar. It’s a lot about snow and darkness, and kids being cruel to each other. There’s also the silence. That’s way more emotional for me than the horror elements. I can really relate to that loneliness. My childhood felt a bit like that sometimes. My parents got divorced at the same time and it felt exactly like that. You´d go out in the snow all alone, in total silence, and you’d go hide in a tree. He really captured that feeling. I think the music is much more related to that than to the vampire horror. It’s much more about loneliness, love and friendship. MT: Tack till Johan för all hjälp med intervjun!